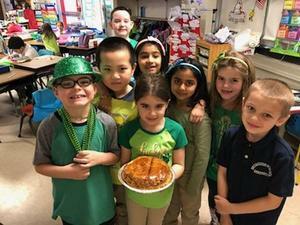 The first grade students made Irish soda bread in celebration of St. Patricks’s Day! They learned how to follow a recipe by reading the ingredients and directions. Next, they measured each ingredient and worked together to mix it. 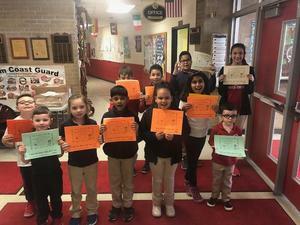 When the students returned to class, they wrote and illustrated how to make Irish soda bread. Finally, the students enjoyed their delicious breads at snack time. The Secaucus Public Library is holding its first poetry contest for grades K-8. All types of poems are welcome and every student is encouraged to participate. Students may write any type of poem for submission. There will be one winner per grade level and all winners will receive a $50 Amazon Gift Card. 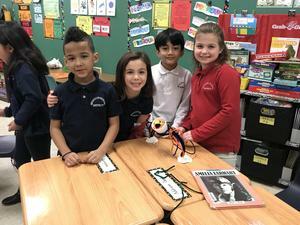 1st graders are working hard in art class this week. Students are practicing their fine motor weaving skills on paper looms. Unbe-weavable! 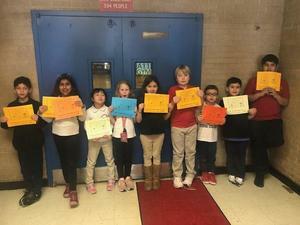 On Wednesday, February 27, 2019, the third grade G&T students of Huber Street and Clarendon Schools participated in “The Dream Flag Project” convocation as part of The Hudson County G&T Poetry Festival. The event was held at John F. Kennedy School in North Bergen and hosted by Ms. Heather Carline. 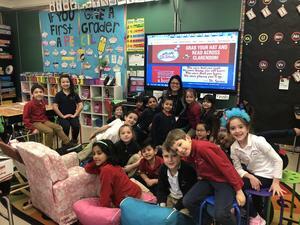 In Celebration of Read Across America, Mrs Abuhouran’s class really enjoyed listening to stories read by so many parents and guest readers in celebration of Dr. Seuss’s Birthday. The students truly enjoyed listening to a story read by our wonderful Mayor Gonnelli!! 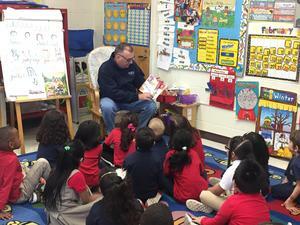 Thank you Mayor Gonelli for reading and for all the wonderful gifts you brought for us! !